How is your 2011 so far? Are you exceeding your sales goals so far this year? 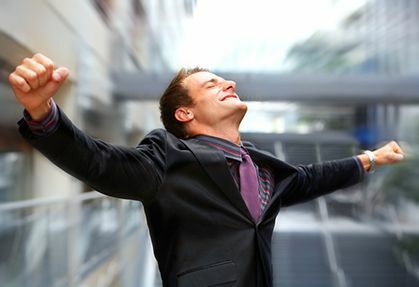 Here are FIVE steps to get your sales on track to exceed your 2011 goals. It is not to late to restart your year. If you are the sales leader, let’s get started…. Engage your sales team in regular discussions about your competitive landscape. I am often surprised how surprised sales people are that their sales are not better, and yet they seem to know so little about their competitve landscape. Make sure that they are informed. Have these conversations often. What is the competition up to? What are customers asking for? Why have they lost recent deals? What is getting in their way of success? Set expectation for both results and behaviors. Results won’t happend without the right behaviors. Are you keeping team members focused on doing the right things and doing them right? This is the job of the leader. 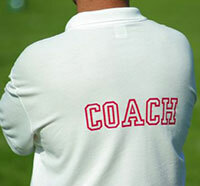 Make sure that YOU are being both a teacher and a coach by communicating clear expectations. Invest in skill development. Keep your own and your team members skills fresh by investing in training and development activities that build knowledge, skill, and industry contacts. All are critical to the ongoing success of your business. Inspire your team. You have heard it said that success is as much inspiration as perspiration. What daily and weekly inspirational behaviors have you incorporated into your daily activities? How often do your recognize successful behaviors as well as results? How well do you know the individual motivators of each of your team members and leverage them to inspire the team? Inspired team members often go above and beyond, giving them an edge over competitors to win that piece of new business. Stack the deck in your favor by inspiring your team. Deal with non-performers. Those who are unwilling to do the right things and those who just can’t seem to close the deal need to be dealt with. If it is not a question of training, development, or investment on your part, then deal with it. Chances are the non-performers are just as dissatisfied in their role as you are in their performance. Make the tough decision and then hire a top sales person. You still have plenty of opportunity to make 2011 a fantastic year. It is not to late to start your sales engine. If you need help jump-starting your sales and seeing your team make Visible Progress, give us a call. We would love to help. Start Planning NOW for your Success! Customers are your most valuable commodity. If your company is publicly traded, your shareholder valuation is likely based on customer market share and revenue per customer. Yet very few companies spend much time evaluating and brainstorming ways of winning customer loyalty or creating employee systems that ensure that your customer experience is better than the competition. 1. Make sure that your products are customer friendly. Design products with your customer in mind. Make it easy for them to purchase your product. Don’t keep asking for the same information over and over again. Capture information in your systems and use it to know your customer. Ask them periodically about their wants and needs. You don’t need to use expensive focus groups, you simply need to sit down with them and genuinely ask for feedback. What you will learn will be worth the investment of time. Make it a habit to ask for customer feedback on a regular basis. 2. Be up-front about pricing and make sure the service you provide is worth it. All too often I see companies try to hide fees and charges. They are often difficult to figure out and sometimes unreasonable for the service provided. For example: if you have ever had a credit card that you have paid on time every month for years, pay off the entire balance monthly, but missed making a timely payment once while on vacation, you know what I am talking about. Between late fees, interest charges, an automatic increase in interest rate, freezing your card without so much as a phone call, you are left with a pretty bad taste in your mouth. With common practices like this, it isn’t too difficult to stand out and demonstrate that you really care about your customers. 3. Teach your employees at every level how to interact with customers. I have seen both entry level and executive level employees blow it when it comes to creating value with customer interactions. Spend the time to define the experience you want to provide. Make sure that employees at all levels have been trained and coached on creating the right customer experience. 4. Service failures will happen. Have your service recovery process defined in advance. Make sure your entire team is skilled at service recovery. Be great at fixing problems, and fix them fast. When customers experience a problem but have a great experience with resolving it, their loyalty is stronger than someone who has never had an issue. Make sure that you have a disciplined approach to handling customer issues, escalating them as they become more difficult, and that it includes keeping your customer informed of how you are diligently working on their issue. 5. Get to work protecting your most valuable asset. Make customers one of your priorities for 2011. Pick up the phone and talk to your most valuable asset! If you need help creating loyalty disciplines in your company, give us a call. In any case I would love to hear your creative ideas for creating and increasing loyalty. 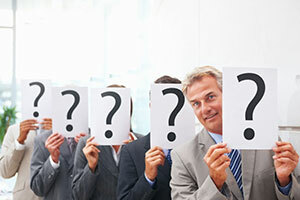 Does Employee Engagement Really Work? Several times throughout my career I felt like I was going to die of boredom. I am a high-energy, fast-paced person that likes challenges and jumping into the never-been-done before initiatives. After being in a particular role for several years the job became pretty routine. The same customers, same employees, and not much new. While some people enjoy this type of consistency, I was bored to tears. Several years later, after building the companies first call center, I learned some fantastic lessons about employee engagement. 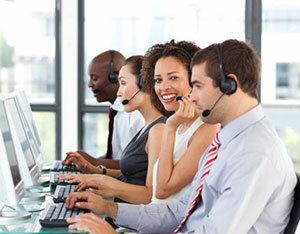 If you have ever observed a call center operation, you will learn that it is a high employee turnover business. The pace is fast and the customers are generally edgy to say it nicely, so as a result, great employees quickly move on or are recruited into more prestigious positions. That is the nature of the business. The industry standard at the time was at least 25% annual turnover in employees. Most were experiencing 50% employee turnover. Because I didn’t know any better, (this was a never been done HERE before project), I wasn’t satisfied with 25% annual turnover. We set a goal of being below 10%, which was unheard of at that time. This required learning something about employee engagement. Here are some lessons that I learned. 1. Engagement always starts with listening. You must seek to understand your team members. What their joys, frustrations and motivations are. Every employee is different and unique in their own way. 2. You must have a personal relationship with most employees before they will let you know who they really are. That takes time, effort and investment on your part. 3. Boredom and monotony are my fault. There are things that a leader should do to make work more fun and interesting on a daily basis. Give people a chance to work on something new from time to time. Their new perspective often fosters improvements to your operations. 4. It is the leader’s job to create a challenging environment. One of my goals was to help team members break through old barriers. To prove to them that those limitations were more a state of mind than a true constraint. As the first few team members broke out from the pack, the rest quickly followed, renewing enthusiasm and a competitive spirit amongst the teams. 5. Celebrating regularly is a must. Find things to recognize people for and make a big deal of it. Tell that story of how Bill saved this customer relationship, or how Sue calmed an extremely irate customer and ended up selling additional products to them. These stories prove that enormous odds can be overcome with the right attitudes and behaviors. 6. Reward successful behaviors. Pay for results. Not everyone is capable of accomplishing that same result. Those that work hard, go the extra mile, and excel deserve something more. Lack of recognition and rewards for outstanding performance will quickly dull everyone’s senses and minimize motivation as well as performance. 7. Have FUN! Work does not have to be a grind. None of us enjoy every task that we have to do during the day. Take time to recognize the elements of it that you enjoy, whether it is the people, the environment, your customers or the appreciation that your boss demonstrates on a regular basis. Quit thinking of yourself as the boss and think of yourself as the leader of a highly engaged, highly motivated, and high performing team. Start acting like you work with winners every day. Get to know the real people on your team and find out how to leverage their strengths, passions, and relationships to bring new levels of engagement across your entire team. I guarantee that if you approach your work in this way that you won’t be bored. As for me, when I learned to be more engaged with my team members, learned to make their satisfaction and love for the job my priority, I also learned to make my own work fun. Go out and engage your team and have a blast! If you need help making Visible Progress, give us a call. Leadership, how are you at sharing? I often run into people who lead teams or serve in director or key leader roles that don’t share critical information with others. When in meetings, they appear helpful, contribute to the conversation, offer ideas and feedback. Everything appears great until you look deeper. They hold back critical or key information on a regular basis. This leaves them feeling squarely in control of peers and subordinates. In some cases this is intentional. In others it isn’t. It is just a bad habit. The problem is that whether intentional or not, this behavior hurts the company and the entire team. Not armed with all of the facts, decisions made may not be the best. When team members know they are missing critical information, they will have to take time to research the information needed, wasting extra time unnecessarily. Projects take longer, poor or ineffective decisions may be made, and ultimately teamwork suffers as trust is withdrawn when team members find out that critical information was withheld. Just the other day, as I was working on a project with a team, I realized that there was vital information that I had not shared. I just hadn’t taken the time to ask myself who needed to know this information. Once I took the time to analyze who might find the information helpful, I quickly shared it and heard immediately from team members how much they appreciated these new insights. 1. Putting others and their needs first will help you gain more credibility and loyalty than holding out. Give it a try with a few of your team members and watch their self-confidence blossom, the quality of their work improve, and the enthusiasm for their job increase. Again, these are your team members. A more happy and successful team can only benefit you. Stop holding out! 2. Obtaining vital information for your company or team is a great thing…..but only if it is shared with the right people. Having people view you as a great source of information or as a parter who is watching out for their needs increases partner loyalty. Having your peers or senior leaders view you as a helpful team member can only help your career. What benefit does hoarding the information provide? Stop hoarding and share! Set the example by posting critical information on your shared drive, making it easy for team members to find. Even send them a link to the information. Develop an Intranet that allows you to post information vital to a project. Help develop a new way of sharing information vital to your team or project. Teach others how to do the same. Ask them why that have not shared the vital information. It is possible that they didn’t know you needed it. Don’t assume it is intentional. Let them know the kind of information that would be helpful for you. Be on the lookout for information that they might find helpful. Openly share it with them and let them know that you would appreciate the same from them. Give before you get. You will be amazed at the good will that you can create is just a short time. In meetings, make it a habit to ask what critical information is needed to help your projects succeed. Find out who has this information and ask them share it with the team or volunteer to do some research and readily provide it for the entire team. By setting a good example, looking out for others needs first, you can build trust and teamwork amongst pears and subordinates. As you model the behaviors you want to see in others things will change quickly for the good. If you want to improve the information flow in your business, start by setting the right example and openly sharing vital information. Think about others first. Then call Visible Progress to get help improving your groups Teamwork skills. Measurement seems to be overlooked by many leaders in small to medium sized organizations. Often leaders have built a strong trust in their hand-picked teams and were once able to get a quick performance snapshot by walking around. Now your business has grown beyond your ability to manage at a glance using the same old methods. Measurement is a critical tool that leaders must employ regardless of how well they feel they are connected to key people, groups, and customers. Measures clarify expectations. Measures tell employees what is important and help to set expectations. Measures direct behavior. Establishing measures, defining what is acceptable and what isn’t will help employees focus behaviors in the right area. Measures make performance visible. If you aren’t measuring it, how can you manage it? By measuring it you can compare performance to other high-performing organizations or people. This will allow your teams to report on where they stand, what is working, and what might need to improve. Measures can focus attention. By measuring the most critical elements of a function or area, you are in effect telling your employees where to focus their attention. By not measuring anything, you are leaving priorities to chance. Measures promote consistency. Whether it comes to production, quality, or cost; consistency is needed to provide quality, timeliness, and stable pricing to your customers. Measures provide feedback. 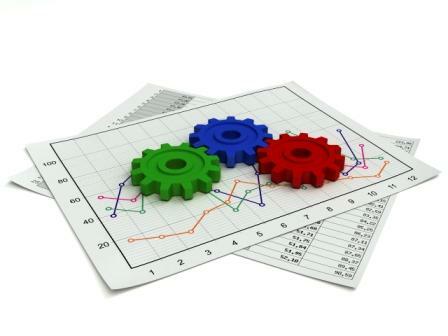 Relevant measures help to keep people and teams on track in meeting goals and deadlines. Measures improve objectivity. Measuring performance and managing people using the facts is the only way to fairly provide performance feedback, rewards, and promotions. Measures improve decision making. Measuring your performance and comparing it to competitors helps you make better decisions and improve your business results. First: And most important, clarify your strategy to all employees. Make sure that they completely understand what your key objectives are. Write it out. Spell it out. Repeat it and clarify it at every opportunity. 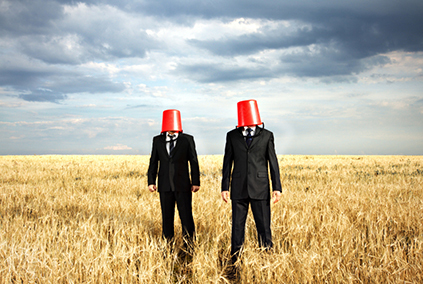 Don’t let your team keep blindly working towards what they individually think is important. Second: Put measures and milestones in place for all of your initiatives. This will help keep people focused and timely in executing your initiatives. It will help you lessen the chance of missing critical deadlines or even failure. Third: Establish measures that will help you and your team define what a successful outcome looks like. You can always refine and improve these measures as you learn more, but start with something that appears reasonable or ensures that your operation is profitable. Measures bring about clarity and will help you build a more consistent performing organization. They will help you know how your business is performing. They will help you more fairly recognize and reward those that go above and beyond. So what is holding you back from measuring the critical metrics of your business? If you need help, just ask us at Visible Progress. We would love to help you establish a solid measurement program. Your profits and your employees will thank you for it. Most of us have experienced conversations where the person we are speaking to is not “Present”. They are caught up in events of their day or thinking about something more important. Many of us have also done this to people around us. Friends, spouses, children, coworkers, etc. In spite of having been annoyed when someone has done this to us, we are also often guilty of lack of Presence. So first off, let me describe what it means to truly be present. Being present means letting go of preoccupations and self-focus. It means immersing ourselves in the here and now, in this moment. It means giving ourselves wholeheartedly to what ever we are involved in and being more than just there physically. It is about being fully aware, alert, and awake in the fullness of that moment. It means engaging the other person with our full attention. Presence demonstrates to others that you care. The alternative is that you don’t care. Which message are you sending? Presence means that you are listening. If you are not listening, how do you really know what is going on in your organization? Will team members even feel comfortable telling you if you are not listening and don’t seem to care? Presence demonstrates that you are open and willing to learn. If you are caught up in your own moments and issues, how can you begin to show team members that you value their thoughts and insights? 1. Learn to listen. We can all learn to listen better. Few of us are naturally gifted listeners. Our minds think at a pace much faster than communication happens. As a result, our thoughts tend to wander. How often do you find yourself thinking about what you want to say next versus listening to the person speaking? So how do we become better listeners? Stop Talking. I have yet to meet a person who seems to talk all the time and yet have a great grasp of the conversation and the people in the room. I know at times I have been guilty of this. Give complete attention to the one speaking. Giving your total attention means not being preoccupied with your own thoughts and feelings and not thinking about what to say next. Complete attention means focusing on the speakers thoughts, feelings, emotions, and body language. Do you see how much more you can gain from a conversation when you are engaged to this degree? Communicate understanding. Let the other person know that you are listening. Ask questions to dig deeper into specific thoughts or feelings. Try to clarify what they have said to demonstrate your understanding. Try to fully understand where they are coming from. 2. Learn to take notice. How much time have you spent taking notice of the other person; how they are dressed, their emotional state, their surroundings, their frame of mind, or the difficulties or challenges they are currently experiencing? How much do you know about their journey, how they got to where they are today, and what gets them excited or depressed about life at this moment? 3. Learn to care. Simply knowing is not enough. Learning to care about the other person’s situation, life experience or journey is what is needed from great leaders. When you have done all of the above plus care, now you are positioned to have a remarkable influence on others. When you care, your counsel, advice, guidance, and feedback will come across as HELP versus CRITICISM or JUDGMENT. Your genuine care for the other person, regardless of their importance or circumstances can only increase your ability to be heard. By being Present; listening, taking notice, and caring you become a much more insightful leader. You will be better informed, have a deeper understanding of your individual team members, and as a result, place people in the right roles, leading to better decisions or improved participation and passion from your team members. As an added benefit, you will have a healthier, happier, and more satisfied team. None of this is easy to do. It takes thought, discipline and practice. I need to work at this every day. Join me in making your commitment to be more present starting today. I promise you that you will not miss the old YOU! If you need help making Visible Progress, give me a call. I would love to help you improve your Presence. 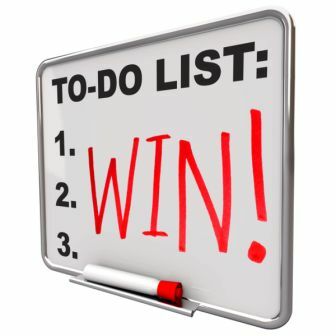 A good friend of mine recently sent a comment suggesting that I provide 3 ways to win in 2011. Well, I gave that some thought and landed on three of the most important things that I think any leader can do to ensure success in 2011. Here you go Cary! I have even added a bonus step. 1. Make sure that your strategy is Spot-On. While this sounds easy, it isn’t. This involves asking your clients or customers what they need and want. What will help them succeed the most in the coming year? This may mean shifting your focus or you may find that you get conflicting responses and have to choose one path. You will be far better off being great at one approach than average at both. Make a choice and go. I often find that companies are doing things the way they have done them for years. Sometimes they have added technology, but layered that onto the old processes. In 2011 take a fresh look at each step of a process and continually ask the why questions. Why do we do it this way? Why do we have this person or team do this step? Why are there so many hand-offs in the process? Then ask, is this what our customers want and need? Does it meet their expectations? Are there any competitors doing a great job that I could learn something from? Are there any Vendors that can help me identify new innovations? Technology is simply a tool that allows you to innovate, improve your processes, and improve the productivity of your human resources. Create a team challenge within your organization to solicit and reward teams for their ideas for improving the customer experience, quality and their own productivity. I often work with organizations that have very little management or leadership depth. As you dig deeper, you find that there has been little investment in people that have been around for years. Rarely has there been good coaching or little real performance feedback. The result is that there is no internally groomed successors. No one has been prepared for the next level. The only answer for management is to go outside to hire talent when someone retires or growth occurs. This approach is a high-risk management approach. Take some beginning steps to invest in your team. You will be amazed at what they are really capable of and the level of gratitude they will exude when you invest in them! Bonus Step: 4. Execute, Execute, Execute. Many teams fail to execute well. They have great intentions, and even start things well, but either lose interest or are distracted by the events of the day. Failing to make execution a priority is a frequent problem. Commit to following through on your plan. The best way that I have found is to begin by planning out your execution steps every Monday morning. What are the critical things that must be accomplished in order to ensure that your strategy is well executed. If you break it down into daily or weekly steps, it isn’t so overwhelming. If you as the leader don’t take the time to do this, who will? If not you, it isn’t likely to happen and you can expect another average year. So, make execution a priority. Decide to win and the commitment to doing the critical steps needed to win. It’s not rocket science, but it also isn’t easy. If you take these 4 steps in 2011, I am sure that when you look back on December 31, 2011, you will be amazed at how much you accomplished, how much your team has improved, and how much your bottom-line has benefited. My bet is you will do it again in 2012. If you need help developing your strategy or breaking it down to weekly activities, or you need and Executive Coach to help you or one of your team members focus on the right activities. Give us a call to make Visible Progress Now! The 7 activities listed here are very common practices that may stand in the way of your success in 2011. Often times we are encouraged by our culture and outside pressures to pursue these actions….but great leaders manage to become great without them. Make it all about money and getting rich. Popular books and speakers provide you with tons of insights for how to make this your only focus. You can attend seminars or plan your own high-pressure sales meeting to show others how serious you are. Make it all about you and your personal bottom-line. Answer every email right away. After all isn’t email becoming the most popular way to communicate? He who communicates better and faster and more often wins…..right? She with the cleanest inbox gets the promotion! Do your email early and often. Don’t waste your time reading. Even Solomon, one of the wisest people of his time, said “There is nothing new under the sun!” You learned it all in school and paid a lot of money for that degree…what more could you possibly have to learn? Schedule more meetings! We all need to become better communicators, what better way than to have more meetings….the longer the better! Schedule every minute of every day. A full calendar reflects a productive executive. Schedule out 100 percent of your time, making it easy to say “NO” to new opportunities that might serve only to distract you from your email. Why leave things to chance? Schedule it all out. Make some new enemies. Life is full of people who may have done you wrong or would like to de-rail your career. Let them know that you know how to play the game! Get in there and create some distrust and suspicion. Throw in some resentment and create some paranoia for good measure. Worry about everything else. Start first thing in the morning and let worry build throughout your day. You may not be able to do anything about it, but you can surely worry about it. Spend meeting time with other worriers to ensure that you are worried about the lattest and greatest issues. Lose some sleep over things out of your control. This all may sound a bit foolish, but if you look back at 2010 I wonder if you will see that you participated in these activities far more often than you remembered. Great Leaders manage to become great without them. I bet you can too. 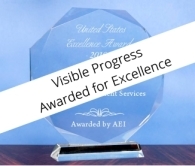 We would love to be a resource for helping you make Visible Progress in 2011! When I think about growing revenue, I typically think about marketing or sales campaigns, sales training or hiring additional sales staff. Rarely have I thought about Trust. I recently read the book The Speed of Trust by Steven M. R. Covey. In it he explains the value of trust and how things run better with it and cost more without it. Trust Your Customers – When you demonstrate trust, customers are more likely to reciprocate. When you demonstrate a lack of trust, they will also likely distrust you. The result is a longer sales process with more chance of losing the business or longer contract negotiations with more substantail attorney fees. 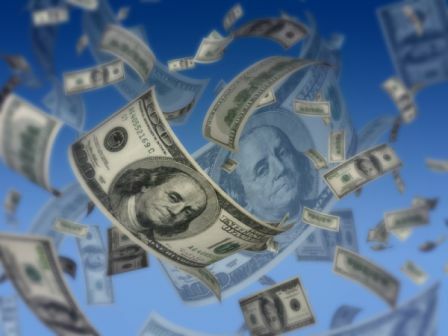 Over my banking career, I have personally seen loan closings go from a single signature on a simple one-page note to an inch thick stack of papers, signed, notarized and witnessed. Think about the cost of doing business today versus just a few years ago when the paperwork was simple. Think about the change in customer satisfaction during this same timeframe. While some added paperwork may be necessary in today’s environment, how do you keep it simple, friendly, and demonstrate trust of your customer or prospect? Trust Your Employees – Creating trust between you and your employees begins with you extending trust. If a leader assumes trust (something to be lost versus earned), then employees are much more likely to behave in trusted ways. Rarely have I found employees that come to work wanting to dissappoint the boss. If the boss chooses to trust them, they are likely to work very hard to retain that trust. However, if the boss assumes everyone is dishonest or trying to beat the system, the employee will likely assume that is the normal practice around here and some percentage will behave accordingly. I know that I personally enjoy myself much more in a work setting where I choose to trust people, give them the benefit of the doubt, and don’t spend my time trying to inspect everything because of a lack of trust. There is a HIGH cost to LOW trust in lost productivity, extended sales processes, and in hiring additional people to monitor your distrusted personnel. However the opposite is true of a trusting environment. Exemplify someone who can be trusted. Do what you say and when you committed. When you are wrong admit it and recognize who helped you gain this new insight. Allow others the same priviledge and you will see fear and distrust dissipate. Demonstrate you trust your employees by including them in important decisions, asking for their input, allowing teams to self-govern, and ensuring that your team understands that getting there the correct way (no unscrupulous shortcuts) is more important than a quick win. Demonstrate that you trust your customers. Take them at their word when they have an issue with your product. Assume that they are right and quickly correct the problem. If it is user error, correct them with grace and style, never being the one to point out that you were right and they were wrong. Trust me, all of us can figure that out on our own. Simplify your contracts and agreements. Do business on a handshake where possible. Even when it is challenging or difficult, keep your word, stand behind your product, guarantee it, provide a full refund or partial refund if necessary. When what you say and what you do aligns, you are creating trust. Start teaching your team to behave this way and watch your profits improve. If you would like help in building trust into your company or programs, give us a call and we will commit to helping you make Visible Progress. Leadership – Growing in a difficult economy! The most typical reaction to a downturn in the economy is to pull back spending in all categories; from wages to marketing. This is exactly the wrong thing to do. While it pays to be wise with your funds, it is even more critical to invest wisely for growth and market share gains during challenging economic times. Companies that invest wisely in these four areas generally grow during economic downturns and come racing out of the downturn as the economy improves. Consider how these four investments can help you! Hire great sales people – Companies should always be on the lookout for great sales people. Competitors often make the mistake of downsizing critical resources in challenging times. Having access to additional quality sales people with established client relationships is an absolute win. Take advantage of adding team members that pay for themselves with new revenue streams from new clients they can bring with them. Skills Training- Invest in your team members skills so that team expertise and mastery improves. 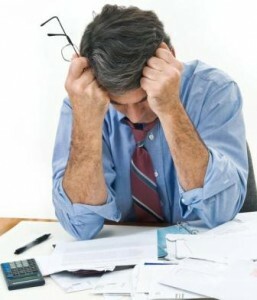 Employees are often concerned about their position during tough economic times, even if they have no reason to be concerned. Continuing to invest in their skills will alleviate these fears, improve productivity, improve quality and increase their loyalty….something you will really appreciate when when the economy improves. Innovate – Companies rarely have the time to invest in innovation during busy times. Challenge your team members to invest just a few hours per week in researching new methods, new products, new technologies to help you streamline your operations and improve your products. Employees can typically make their work fit the day, so challenge them to be more productive and innovate. Model the Best – Knowing who is the best in your business and modeling their behaviors, metrics and performance is another way to improve your results. There is so much that you can learn from benchmarking your operations to the best in the business. It will point you to areas you need to improve or invest in. Leverage what they have already figured out. I hope that you are as enthusiastic about growing your business as I am even during these challenging times. If you need help in getting your team focused in these four areas, give me a call when you are ready to make Visible Progress.